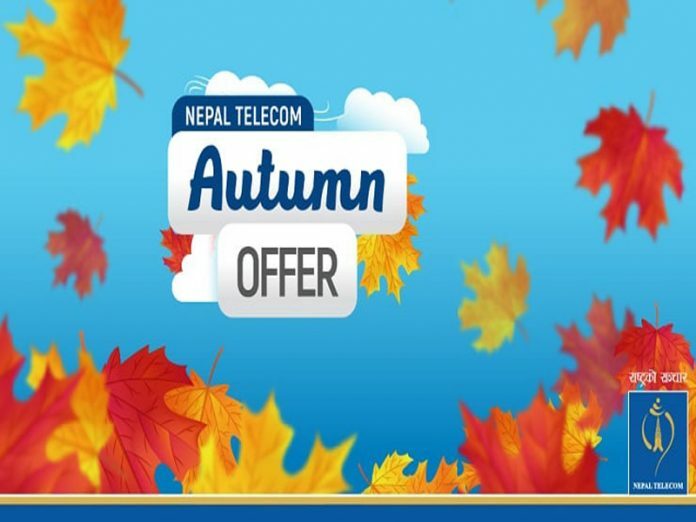 NTC has launched a seasonal offer which is known as “Autumn Offer”. Ntc Autumn offer contains all of the packs, available in the Monsoon offer. The offer comprises 50 % additional bonus volume, unlimited night voice calls, Weekend pack, Unlimited night data packs, 3G/4G pack and more. You can find the details of the offer with a price of each pack and the subscription process as below. Other packs available in Autumn offer are Weekend pack, All time pack, Night data pack, social media pack, streaming pack, WOW time pack, 4G pack, SMS pack, GSM 3G/4G 1 GB per day pack. The offer is valid from 29th Aswin 2075 for 3 months period, till Poush 28, 2075. If you want to subscribe in GSM number by USSD, just dial *1415# and pick the respective offers in it. This ALL-TIME pack is valid for almost all GSM & CDMA (Postpaid/ Prepaid) consumer. Costumer can subscribe this pack at any day of the week but this is effective only on FRIDAY, SATURDAY & SUNDAY(Weekend). This offer provides unlimited data, voice, and SMS for an hour. This ALL-TIME pack is valid for GSM and CDMA (Postpaid/ Prepaid) consumers. Users will acquire 50% more data in this offer. This Night-TIME DataPack is only valid for GSM/CDMA (Postpaid/Prepaid) customers. Customers will get 50% more data in this offer. This pack will be available from 10:00 PM to 6:00AM. This UNLIMITED NIGHT DATA pack only is valid for GSM/CDMA (Postpaid/Prepaid) users. The pack can be applied from 10PM- 6AM. Users can benefited from full speed up to 1 GB per night and after 1 GB throttled at 256 kbps unlimited. This particular pack is applicable for All Time Use and is valid only for GSM/CDMA (Postpaid/Prepaid) customers. This pack can be applied on Facebook, Instagram, WhatsApp and Twitter application. Users are suggested to use the official Facebook/Instagram/WhatsApp and Twitter Android/IOS application while using this data pack. What this pack applies to All-Time use is valid only for GSM/CDMA (Prepaid & Postpaid) customers. With this data pack, NTC customers can watch YouTube Videos and Live TV Streaming from the WOWTIME APP. ALL-TIME VOICE PACK is applicable for both GSM/CDMA (Prepaid and Postpaid) consumers.